Library access : it’s not rocket science! This video was created for us by Martin Gray, our CSU Library Placement student….apologies for Albert’s accent. 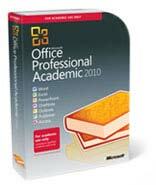 As a current Hunter Institute TAFE student you can purchase a copy of Microsoft Office Professional Academic 2010 for only $99! For details go to the Microsoft site http://www.itsnotcheating.com.au/or ask Library staff. As well, SI Group is authorised by Microsoft to sell a range of software at reduced prices to TAFE students. For full details of the ordering procedure, just log on to SI Group’s website at http://www.sigroup.com.au/info-tafe-orderinfo.html . Prices are approximately 65% off usual retail prices. The range of applications available include: Acrobat, Dreamweaver, Flashpro, Photoshop, and Norton Internet Security. After you forward your signed licence agreement and TAFE ID information to SI Group, the products will take up to ten days to arrive.